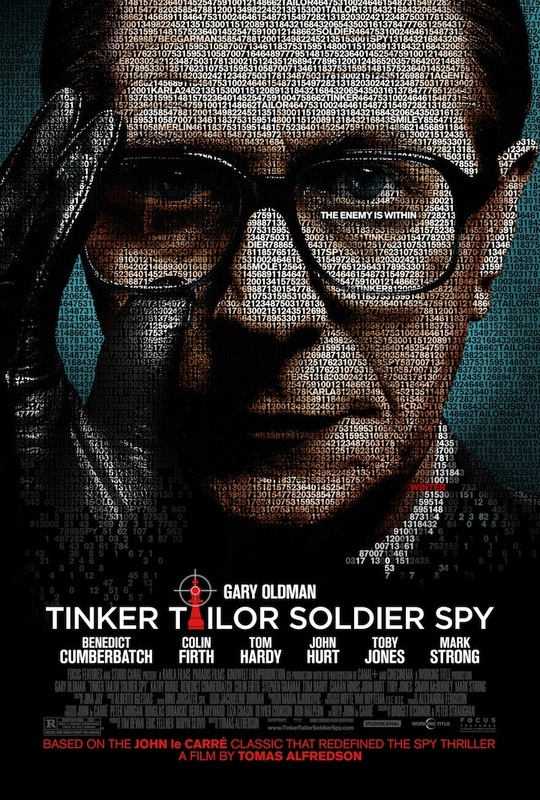 Existential Ennui: Competition: Win a Tinker Tailor Soldier Spy Movie Tie-in Book, T-Shirt, and More! 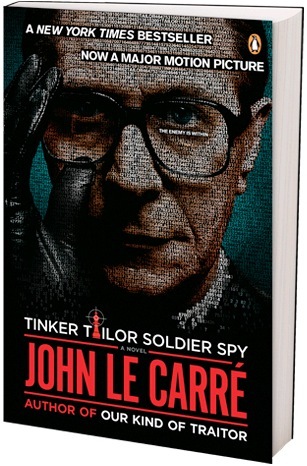 Competition: Win a Tinker Tailor Soldier Spy Movie Tie-in Book, T-Shirt, and More! 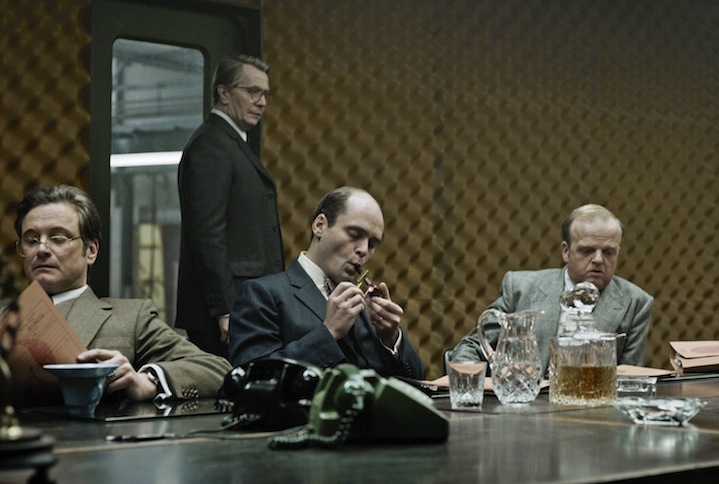 As promised on Tuesday and Thursday, to round off the first working week of the new year I've something rather special for you this fine Friday – something I've never attempted on Existential Ennui before: a competition! Yes, to mark the general release in the US today of Tomas Alfredson's magnificent Tinker Tailor Soldier Spy movie – adapted from John le Carré's 1974 spy novel classic – I'm offering two America-based readers the chance to win a bunch of tie-in swag, courtesy of the film's US distributor, Focus Features! • A Movie Tie-in Book! • A Voice Recorder Pen! • A Post-it Note Cube! That's a Movie Tie-in Book, a T-Shirt, a Voice Recorder Pen and a Post-it Note Cube each (prize value an unbelievable $43) for two US-based readers! Tremendously exciting stuff! John le Carré's novel Tinker, Tailor, Soldier, Spy is the first instalment in what's known as the Karla Trilogy, or Quest for Karla; name the second and third novels in the trilogy. 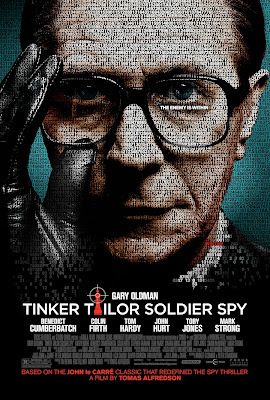 using the subject line "Tinker Tailor". Don't forget to include your full name and address, and which T-shirt size you'd prefer, and once again, let me just state for the record that the competition is only open to "the Cousins" – i.e. American addressees – so entries from elsewhere in the world will be automatically discounted. The competition closes on Thursday 12 January at midnight EST, with all entries going into a hat (or similar receptacle), from which will be chosen at random two winners. And I'll be announcing those two winners on Existential Ennui a week today, so at least for two people, Friday the 13th will be quite lucky. Best of British to all of you, though. My pleasure, Kelly (and thanks to Focus Features for providing the prizes). Good luck!